If you need a place to talk, here it is. Be nice to each other. Well, running the song poll took more out of me than I thought: I’ve been in recovery all the past week, and I probably won’t get to the album poll results until around the new year. So instead, the annual tradition. You know how it goes: I put up a Christmas post and say “well, this looks like it’s the last Xmas post for the blog” and then the thing keeps going for another year. And what did we get? A new play AND a new album! So I won’t even try to say this is the last Xmas post. I’m sure I’ll be here in December 2016, complaining about how the Lazarus: More From the Crypt 3-CD deluxe set means yet more songs to cover. Anyhow: have a great holiday and a fine new year. Thanks again to everyone who bought the book, and for your support and kind words over the years. 2016 should bring: the long-awaited “Heat” post, probably all the Blackstar songs at some point and the rollout of a new music blog in the spring (ish). Previous Xmas posts have reshuffled a small set of Bowie holiday material: the 1977 Bing Crosby duet; DB’s intro to The Snowman (1982); his cameo on the Band Aid B-side “Feed the World,” his Elvis impression of a holiday greeting, broadcast Boxing Day 2013 on Radio 6’s This Is Radio Clash and Peter and the Wolf because it’s fun and sort-of wintry. For this year, I threw in the ragged “Do They Know It’s Christmas?” finale from Live Aid, with Bowie singing the opening lines (as Bob Geldof had wanted him to on the single). Thanks to all readers, past and present. As with last year, the Snow Bowie GIF is from Consequence of Sound. A place for thoughts on the new single, speculations on the new album, general thoughts on Lazarus, what have you. We’re now a month away from the release of Rebel Rebel, and as a first bit of hype I offer a reader contest. The winner will receive (drum roll)….a copy of the book mailed to them, before the publishing date. If you’d like, I’ll sign the thing, too. And I will write whatever you’d like me to, barring it being obscene or potentially libelous. The “Bring Me the Disco King” entry opens with a fictional account of a woman who attended a Bowie concert at Madison Square Garden in August 1977. 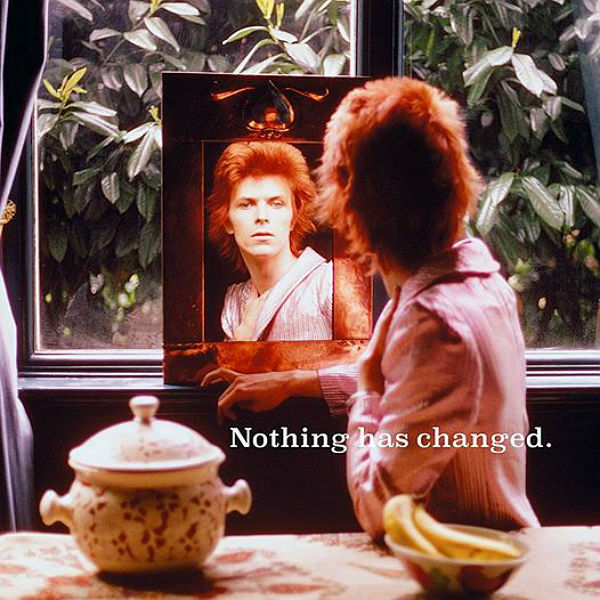 The conceit is that in this alternate universe Bowie, instead of escaping to France and Berlin in late 1976 and recording Low and “Heroes,” instead found himself back in Los Angeles and, a year later, was touring again. So, my challenge: what would the set list of this 1977 show be? The most inspired one wins a book. Some parameters. Here are a bunch of set lists from the 1976 tour as a first guideline. 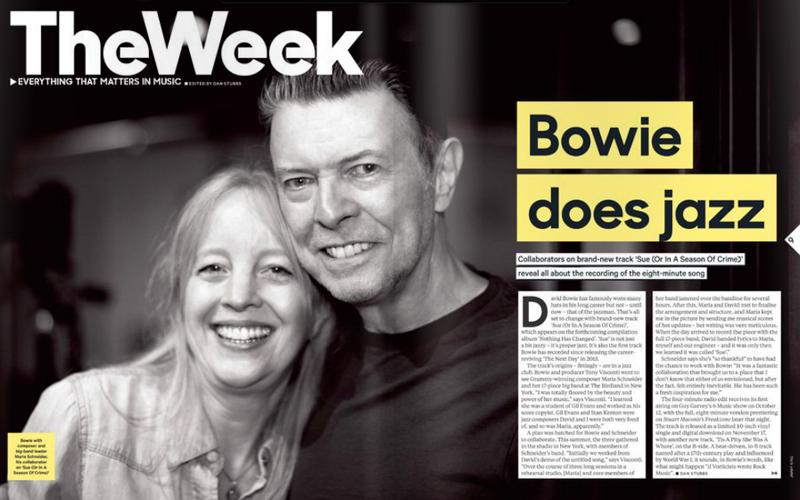 Bowie typically played 15-20 songs a night in ’76, which would likely be what an even Thinner White Duke would do in 1977. Let’s not have him doing some marathon 35-song set, for my sake. My fake account begins with him singing “Five Years” and later has him playing “Sister Midnight,” “Sweet Head,” “Fame” and “Stay,” but you don’t have to include these songs. Feel free to do so, though. Songs on the list should be confined to anything Bowie recorded prior to 1977, and given the path of our fictional narrative, it’s unlikely any of the Eno instrumentals would have been written, so no “Warszawa” exists in this world, for instance. If you make the case that Bowie would be singing something from the ’80s, explain why, and it had better be a good reason. Points awarded for originality and flow (would this have worked as an actual set? Don’t just throw a bunch of songs together). May the best person win! Send your ballot to: bowiesongs@gmail.com (put “setlist” in the subject line) by Friday, March 6. I’ll choose a winner on the auspicious date of Friday, March 13, and will try to get the book in the mail that weekend. Obviously, if you’re outside the US (where I live), the book will take a bit longer to reach you, but you should get it prior to the official publication date (edit: well, it looks like the book’s begun shipping to pre-orderers,so you won’t get it before they do. But hey, you won’t have to pay for it). 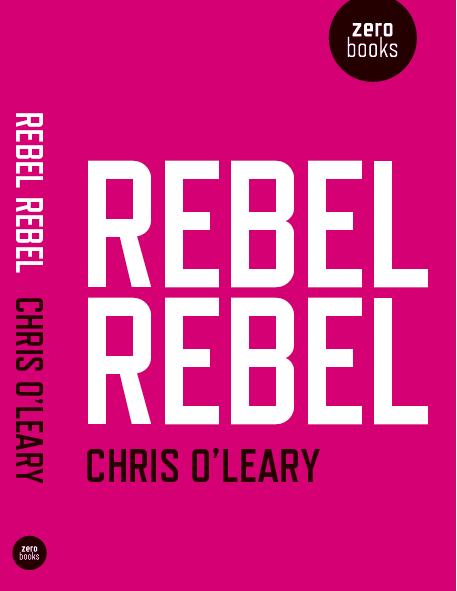 Next year will see the end of Reality, the “gap” years, The Next Day and (yes, a PLUG: GET USED TO ‘EM) the publishing of Rebel Rebel in March. Previous Xmas posts have reshuffled a small set of Bowie holiday material: the 1977 Bing Crosby duet, his intro to The Snowman (1982), his cameo on the Band Aid B-side “Feed the World,” and Peter and the Wolf because it’s fun and sort-of wintry. (Some links above will transport you back to past Christmases, like a Narnian wardrobe.) But this year we have a new toy in the pile: Bowie’s Elvis impression of a holiday greeting, broadcast last Boxing Day on Radio 6’s This Is Radio Clash. Thanks to all readers, past and present. Thanks especially to all commenters, who manage to be civil, funny, sharp and enthusiastic, qualities that much Internet interaction often lacks. Happy holidays: see you early in 2015. Snow Bowie GIF from Consequence of Sound. Longtime blog readers may recall that from roughly the dawn of time I’ve been mentioning that the blog was being turned into a book. Well, that day has finally come. 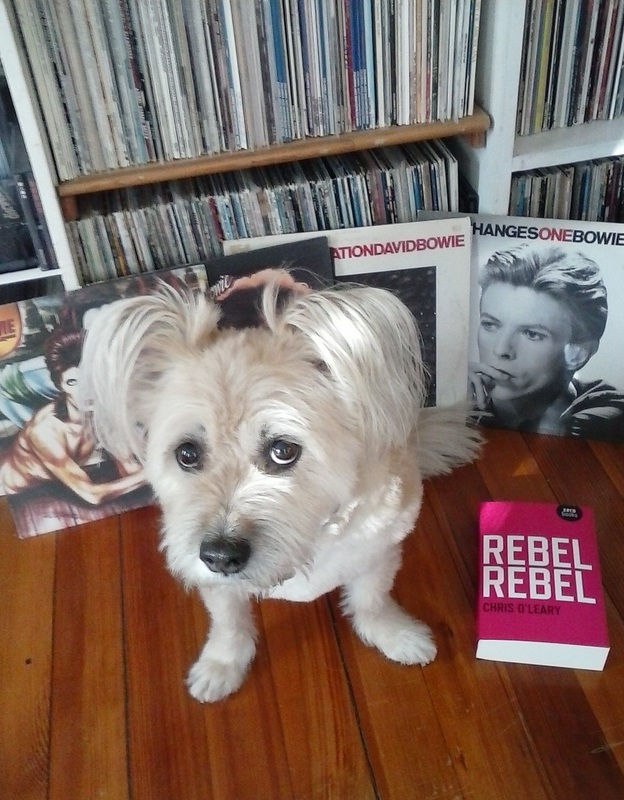 Rebel Rebel (essentially Bowiesongs Book One) will be published on 27 March 2015. I’m likely to create a separate website for the book soon, and I’ll let you know about it when it’s done. But, you might ask, what’s so exciting about this book then? * At last count, it was 574 pages! That’s a brick of Bowie for you, perfect for long train trips or island exiles. It’s longer than my copy of Tristram Shandy. And we only get up to the 1976 tour! * Every entry on this blog from “Liza Jane” to “Station to Station” was revised, updated, corrected, scrubbed up, and made leaner or thicker, more funny or more ambitious (“Alternative Candidate” comes to mind for the latter). There are also a few new entries for songs that weren’t circulating when the blog started in ’09 (e.g., “April’s Tooth of Gold”). * There’s “The Unheard Music” section, in which I try to catalog, in chronological order, all of the “lost” Bowie songs, from the numbers that he sang in a skiffle band in 1958 to the legendary Man Who Fell to Earth soundtrack. Also, a brief summary of the “Bowipochrypha”—songs that fans have thought or hoped were by Bowie but sadly aren’t. * A lengthy Bowie discography, 1964-1976. 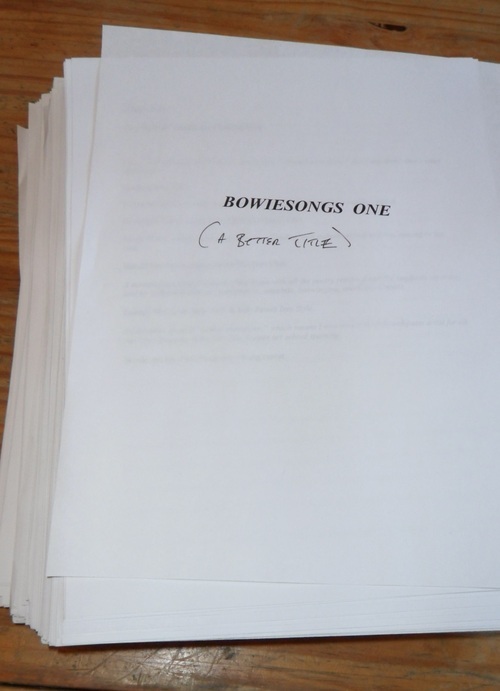 * A huge bibliography of Bowie-related and other material, for fans of bibliographies. * A rather elephantine notes section, featuring everything from Trevor Bolder’s preferred basses in 1972 to various fine points on chord progressions of Bowie songs to some long, occasionally bizarre digressions (Thomas Paine shows up in one). And more! I hope you enjoy it. Back to Reality in a few days. A place for discussion about the new compilation, plus the new B side, which is not found on said compilation. The reversed-time sequencing (Disc 1: “Sue” to the Outside “Strangers When We Meet”; Disc 2: “Buddha of Suburbia” to “Wild Is the Wind”; Disc 3: “Fame” to “Liza Jane”) is a fascinating gambit. It’s not just that Bowie’s opening the set with the long recitative piece “Sue.” After “Where Are We Now” the first real “hit” comes 13 tracks in (“Thursday’s Child”). For casual American fans, the entire first disc could prove a blank: only “I’m Afraid of Americans” may register. All compilations wind up creating narratives, if inadvertent ones: even a hack job by an estranged label can still tell a story. 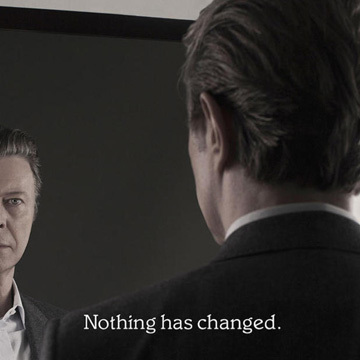 The earlier major Bowie career retrospectives (ChangesBowie, The Singles) centered on establishing “classic” Bowie parameters: pretending Bowie didn’t record anything before 1969; lots of Ziggy and Scary Monsters; proposing the idea Bowie took long sabbaticals in the late Eighties and Nineties. The second disc is the Bowie pop sequence spooled backward: the peak of “Absolute Beginners” crumbles into “Dancing In the Street” and “Blue Jean” before coalescing again into the bright run of “Modern Love” and “Let’s Dance,” “Under Pressure” and “Fashion.” Following this group, the Berlin pieces seem like fractured pop songs, odd, distorted echoes of what’s come “before” (esp. “Boys Keep Swinging” and “Sound and Vision”). And the last disc is like the old legend about Merlin aging in reverse: you begin with the mature wizard (“Diamond Dogs,” “Young Americans”) and watch him sink into adolescence (“All the Young Dudes” “Drive-In Saturday”) and childhood: “Starman” and “Space Oddity” seem more like kid’s songs than ever. Back and back you go, until you end with “Liza Jane,” with a barely 18-year-old amateur screaming his way into an ancient American piece of minstrelsy and theft. Some of the sequencing is inspired: the opening trio of “Sue”–>“Where Are We Now”–>Murphy remix of “Love Is Lost” works marvelously. There’s a decade-long jump-cut from “Stars Are Out Tonight” to “New Killer Star,” and a lovely melancholic sequence of “Your Turn to Drive” (with a slightly longer fade than the original release) to “Shadow Man” to “Seven.” “Loving the Alien” and “This Is Not America” make a fine shadow pair. And some of it’s not. “Everyone Says ‘Hi’” seems like thin gruel when bracketed by “New Killer Star” and “Slow Burn.” The overdone remake “Let Me Sleep Beside You” (a different, more “upfront” mix than the Toy bootleg, with some notable changes (a new backing vocal on the chorus, for example)). “Time Will Crawl” stands bewildered and alone, like a survivor of an airplane crash. The block of …hours songs sap the comp’s energy. Using the single edits of the likes of “Young Americans” and “Ashes to Ashes” (presumably for CD space reasons?) is cutting corners for no reason in 2014. Outside and Earthling get shortchanged. And damn it, “Laughing Gnome” should’ve been on here. We won’t be getting to “Sue (Or In a Season of Crime)” on the blog until late in summer 2015, most likely. So here’s a place to record for your first impressions, once the song debuts tomorrow on Guy Garvey’s Finest Hour at 2 PM UK time. Thanks all, for your patience. We’re done, and this beast is off to its publisher. Hope to have a new post up either later this week or early next. Well, I’d wanted to get another post out but in all honesty, I cannot do anything else until I finally finish this manuscript. I go on vacation the week of July 7, so it’s got to be done by then, because I just want to finally finish Wolf Hall and read some Kieron Gillen comics and not think about Bowie that week. So: last leg. Bear with me, and once this is over, we’ll get back to a weekly or even a semi-weekly (imagine!) pace. And if you’ve a yen to talk about something Bowie, talk about some of the er, utter absolute classic Bowie songs that have like 10 bloody comments on them! Here’s “The Man Who Sold the World“! Here’s “John I’m Only Dancing“! Have at it. See you on the other side. I think you’re going to like this book. 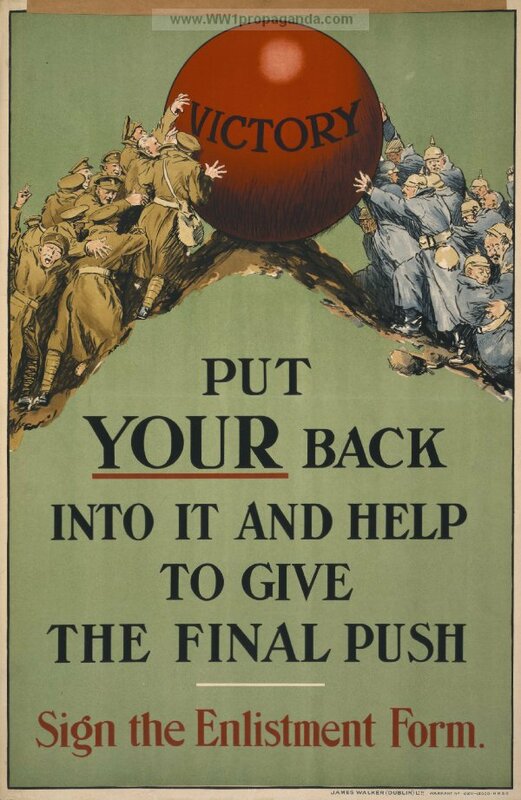 Top: 1915 Irish Great War propaganda poster, via WWI Propaganda Posters.